For an up-and-coming food brand, Instagram can be a crowded place with too many cooks in the kitchen. 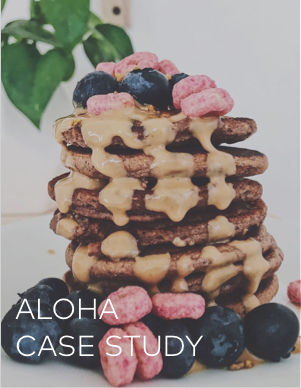 Discover ALOHA’s winning recipe for drool-worthy content, a side of organic engagement, and a dash of site traffic conversion, to create a holistic strategy on Instagram. ALOHA engages its fans with rapid responses to comments and questions using Dash Hudson's Community Manager. Identifying themes in your content and measuring success is seamless using Boards. ALOHA creates value for its fans with LikeShop, by easily linking them to product pages on-site. Download the case study now to dig in!